grouser (Ludlow, United Kingdom) on 29 December 2016 in Plant & Nature. Beautiful bloom. I'm glad it survived. 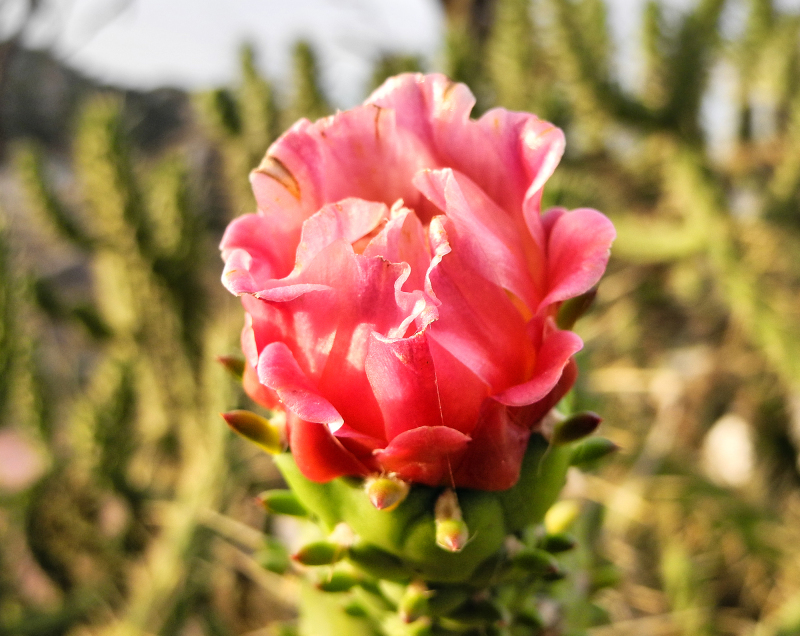 Beautiful look at this cactus blooming. Your comments on the white flies is interesting, during the summer here in New England quite a few varieties of plants have been damaged, by some kind of moth that has appeared for the first time. what a beautiful blossom!! The shade is lovely and great details in the flower...ovely buds too. Never knew that cactus could be affected by flies! What a unique and beautiful cactus bloom you've captured here!! How wonderfully she floats there. This remaining blossom certainly looks very good. I liike the shape and color of this blossom. Well done. Superb capture of the flower ! I knew that some treescould be attacked by flies but not cactus !! The cactus flowers are always wonderful. Great shot!